What makes Aquavision superior from other in-wall and waterproof brands? Aquavision are the Originators of waterproof and in-wall televisions. Thats right, any other waterproof television you see will be a copy of an Aquavision. We have been designing and building our televisions for over 2 decades, so why settle for a copy when you can have the Original? 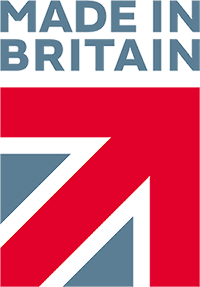 All of Aquavision’s products are verified by the Government run ‘Made in Britain’ campaign. This means that all our products are designed and manufactured by hand in our own premises in the UK. We do not import televisions from China then change their name as a lot of our competitors do! We offer the widest range of sizes, styles and features of any waterproof, in-wall or bathroom television manufacturer. There are over 150,000 different combinations! Aquavision’s dedicated Research and Development team have created our own world-leading technology in our Connec-TV Active range. This allows power, control and signal to all be delivered through a single Cat6 cable. This is a world first! We guarantee to support ALL our products we have ever made. We boast a ‘fit and forget’ mantra, assuring complete peace of mind. You can read more about our Upgrade Kits here. Aquavision offers a Unique Bespoke Project service, ensuring that CAD drawings are supplied. All of our screens provide 178º x 178º viewing angles ensuring you get the very best viewing experience, wherever you are in the room. We make our own panels. We do not take panels like [Samsung or LG] that were not designed to be put in a wall, put them in a wall, cover them with glass and call them our own. Every single panel we use in our televisions are hand built, commercial grade panels, meaning they are guaranteed to last up to 10x longer than conventional television panels. Aquavision boast’s a longstanding reputation for offering the very best support and aftercare. In the UK, we offer a unique 2 year in-home warranty – the only guarantee of its kind in the industry. Our worldwide distributors work to ensure that we offer ‘industry leading’ guarantees in all other countries. We carry stocks of ALL parts for at least 5 years after a product has ceased production. Making sure that if ever anything goes wrong [We hope it won’t! ], we’ve got you covered. Aquavision are compatible with the world’s leading home integration control systems as well and being the first specialist television to incorporate RS232 control. We are the Number 1 choice in many of the world’s most popular hotels, countless independent boutique hotels and the majority of the world’s best Home Network and Custom Installation integrators. We are truly passionate about our brand. All staff members have monthly training sessions with out Technical team to ensure they are kept up to date with the latest products and technologies. Aquavision televisions are designed specifically so that the heat dissipates through the front of the glass eliminating any misting up. All our televisions are 178 x 178 degrees, which is actually the maximum. Our panels are IPS (In Plane Switching) which guarantees that the picture does not invert (appear like a negative) at some point through the change of viewing angle. This is quite common in inferior screens. Viewing angle is the most important thing for a bathroom TV due to the variance of viewing positions, standing at the basin or sitting in the bath.